H051. 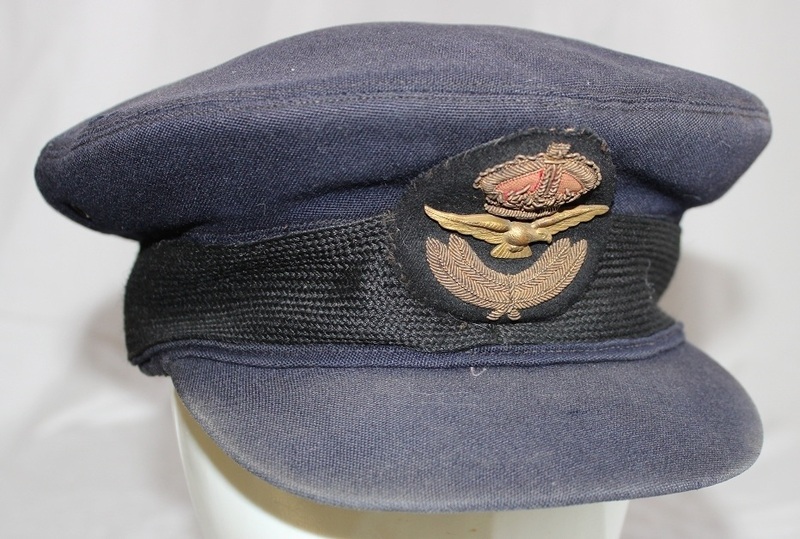 A WAAAF ranks service dress cap with an embroidered cap badge named to 92264 Natalie Irvine Renshaw. 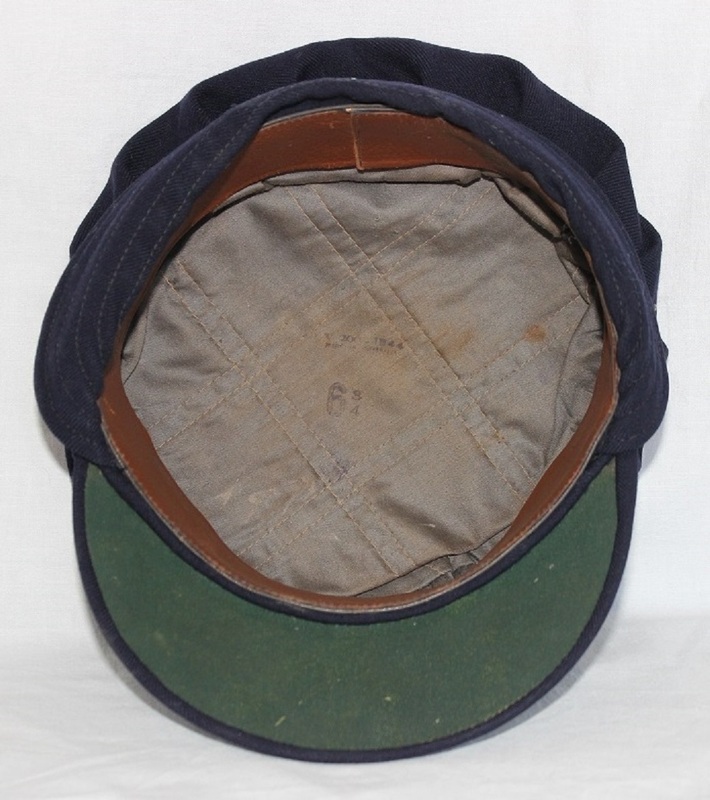 The cap is lined with a grey quilted cloth sewn in a square pattern and has a green underside to the peak. 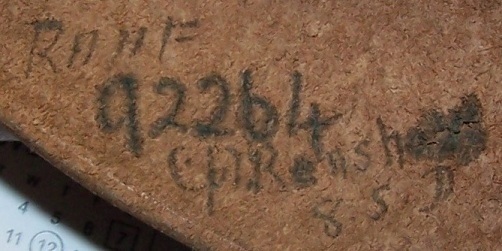 The cap was made by V306? in 1944. H051. Name & Number on sweatband. H051. 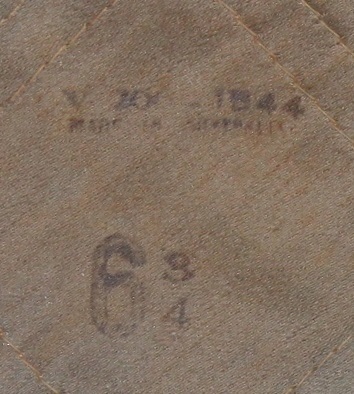 Makers stamp and 1944 on crown. H052. 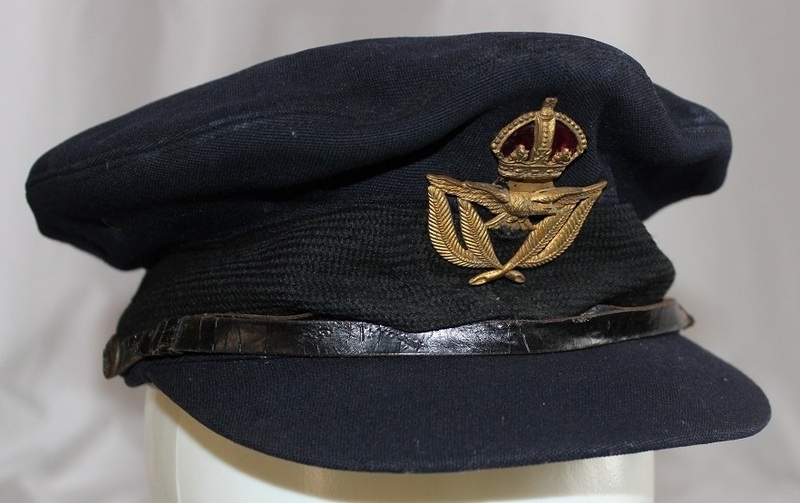 A WAAAF officer’s service dress cap with a bullion badge named to 105226 Phyllis Crosbie Goold. 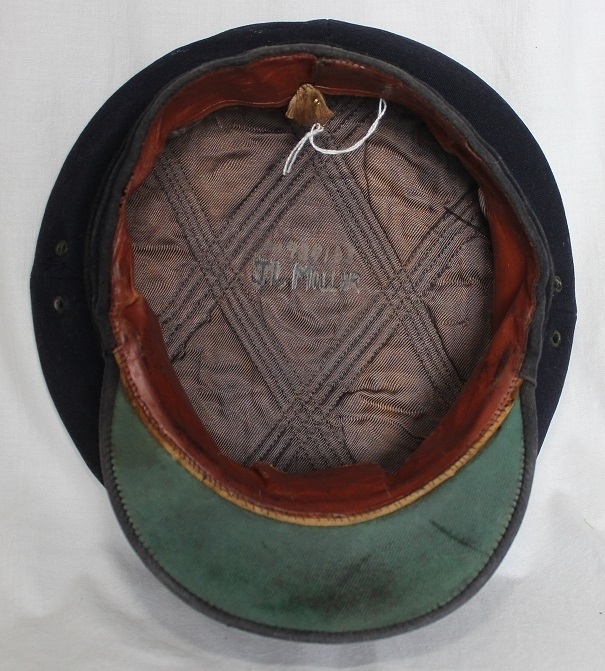 The cap is lined with a black material and has a green underside to the peak. H052. 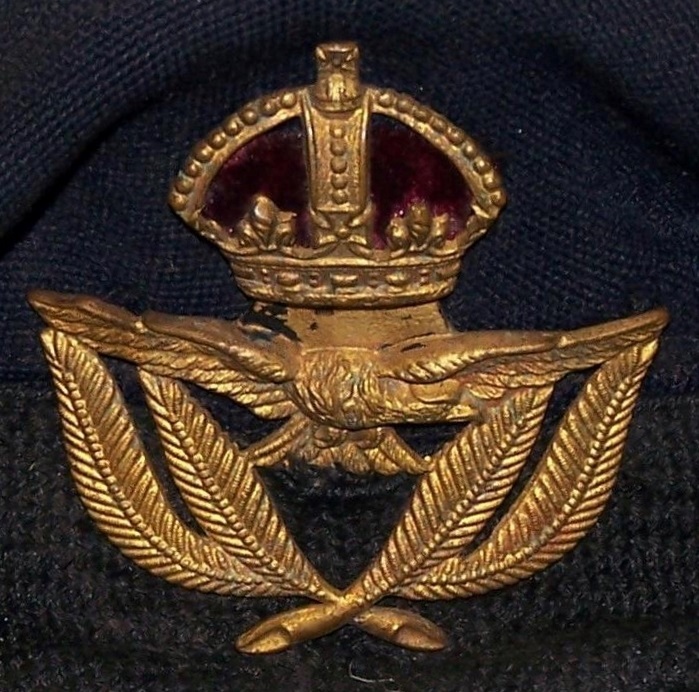 Bullion Officers cap badge. H052. 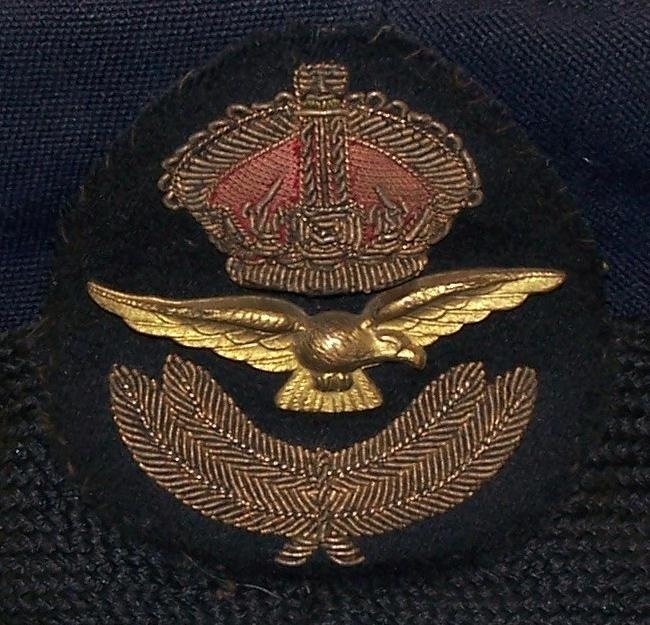 Name tag on crown. H055. 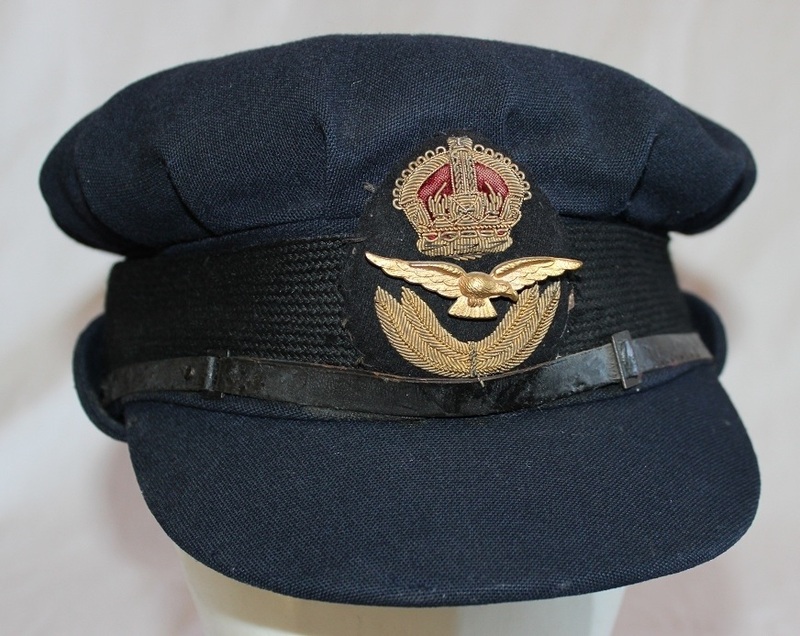 A Warrant Officer’s service dress cap with a brass badge named to 433883 Edward Robert Ash. 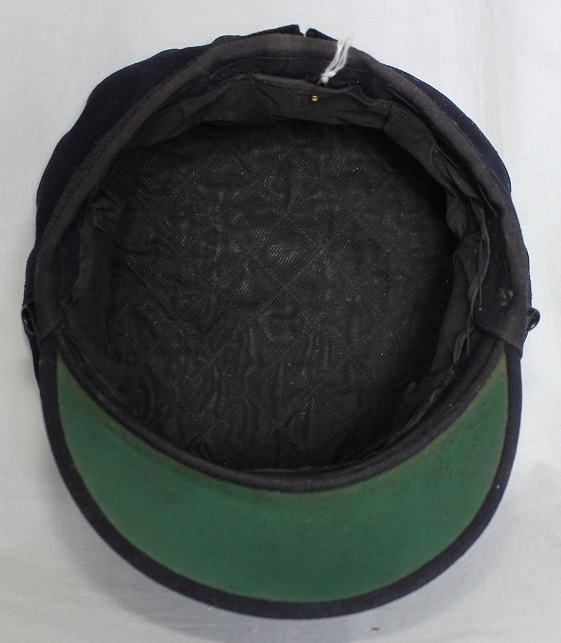 The cap is lined with a grey quilted material sewn in a diamond pattern and has a green underside to the peak. 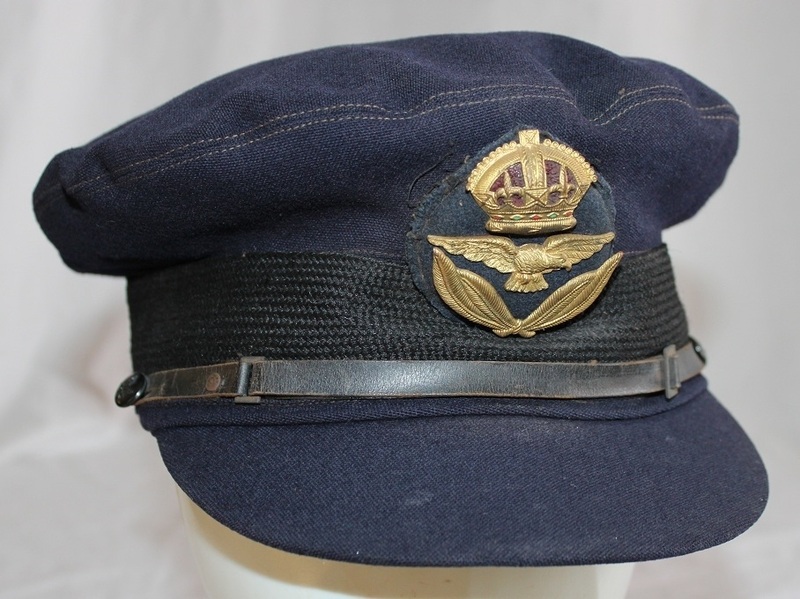 The sweat band is marked M over WD over 789 and the leather chinstrap is held in place by 2 metal buttons. H055. 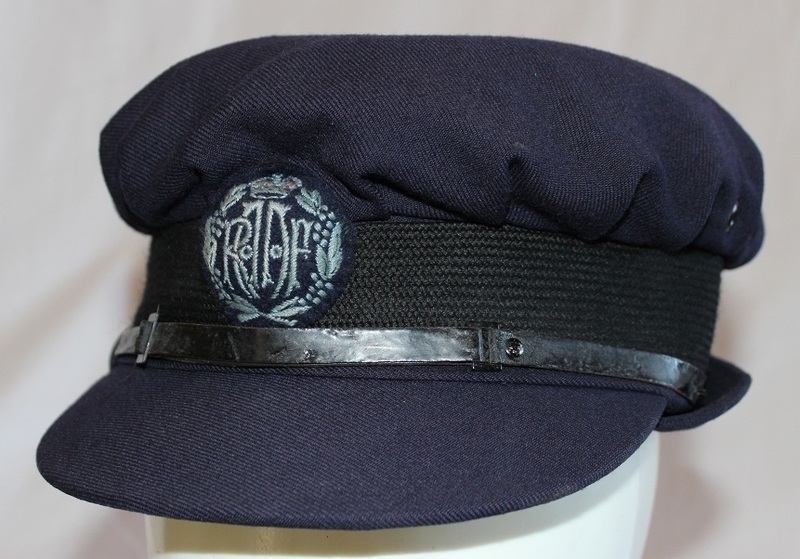 WOFF gilt metal cap badge. H055. Name & number on sweatband. H055. Stamp inside sweatband, possibly English Works Department? H083. 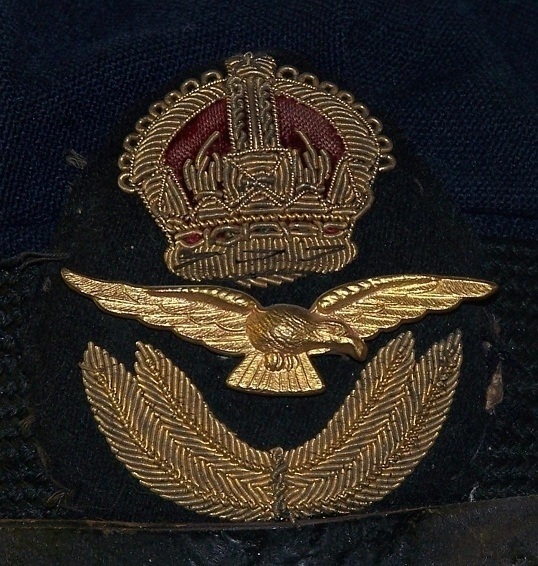 An officer’s service dress cap named to 434193 James Lorraine Millar with a bullion badge. 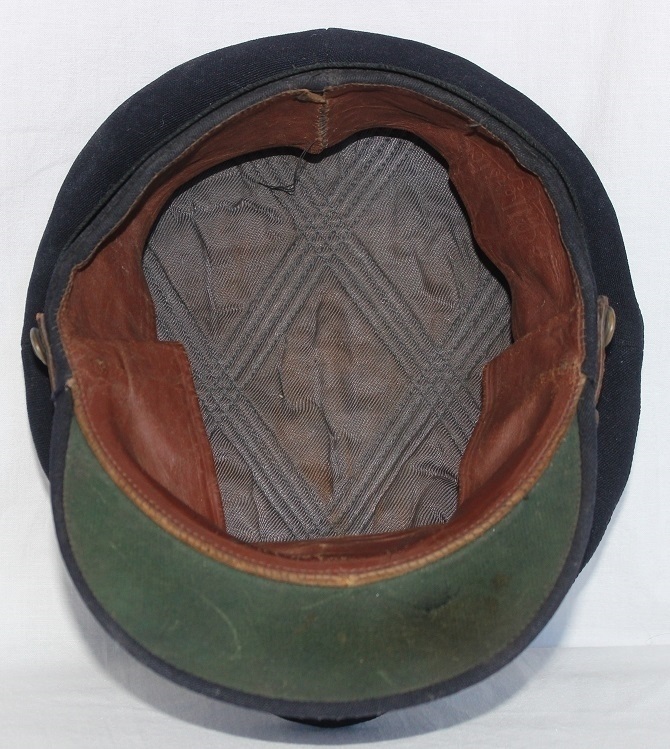 The cap is lined with a grey quilted material sewn in a diamond pattern and has a green underside to the peak. 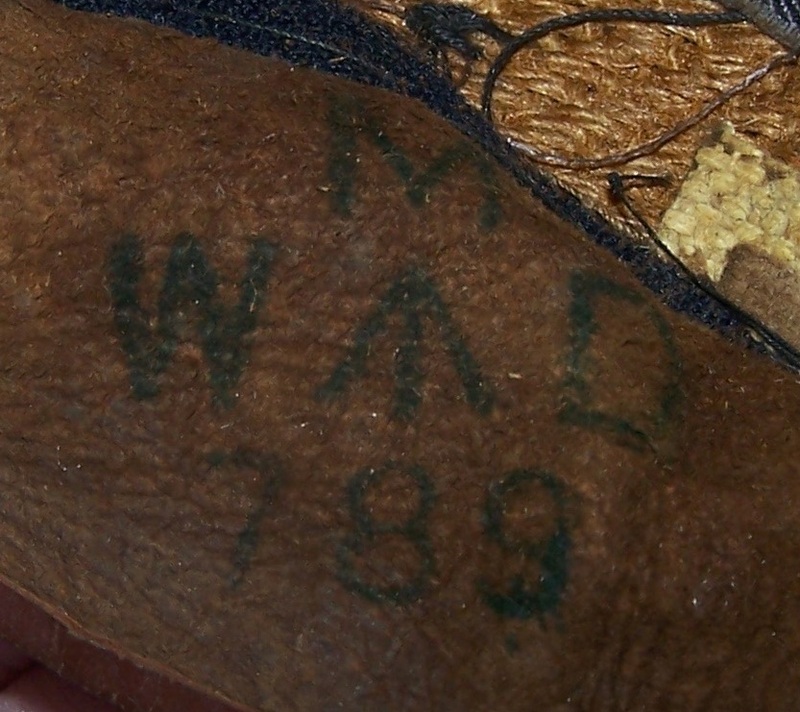 The sweatband is marked J L Millar as is the crown, also on sweatband to the left of the name is a faint W arrow D stamp. The chinstrap and side buttons are missing. H083. 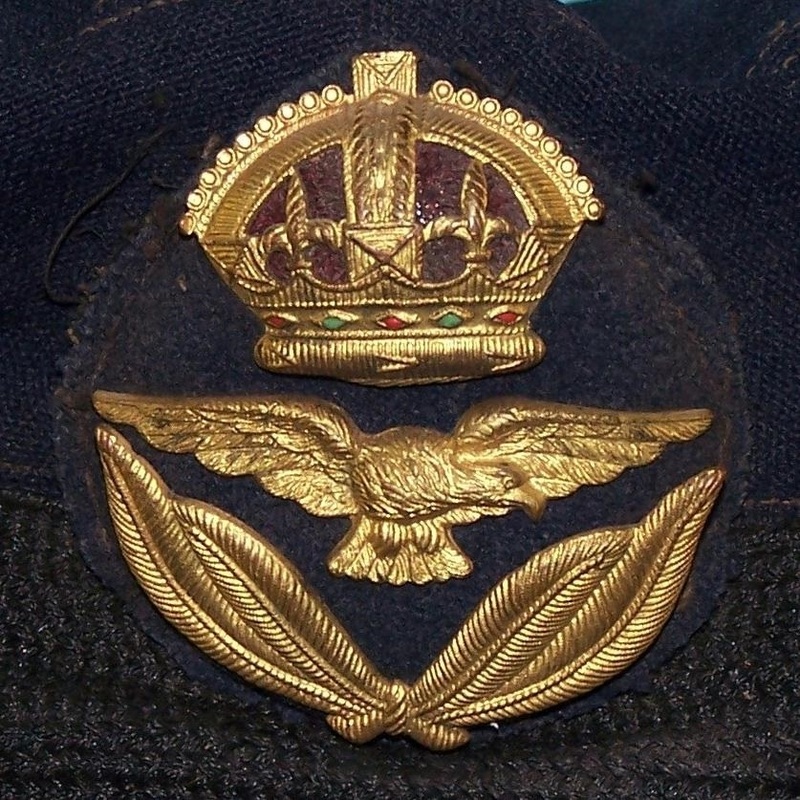 Officers bullion cap badge. H083. 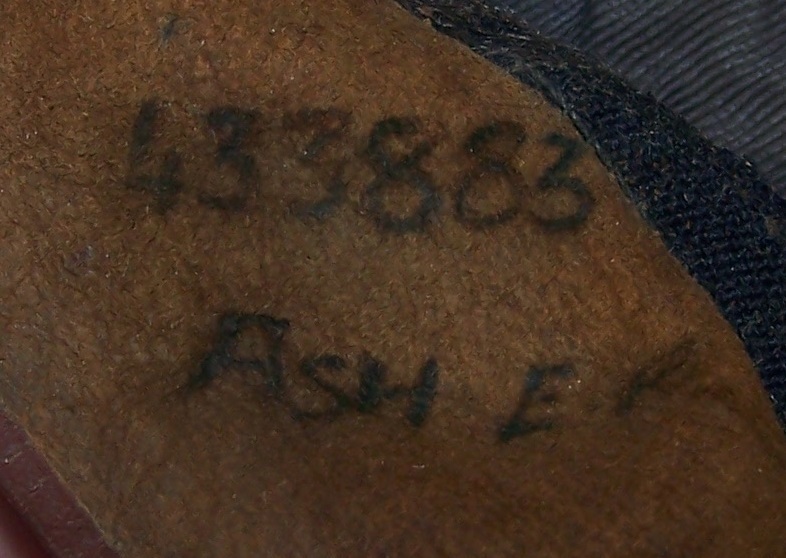 Photo of liner, number & name. H083. Name and makers stamp under sweatband. H084. 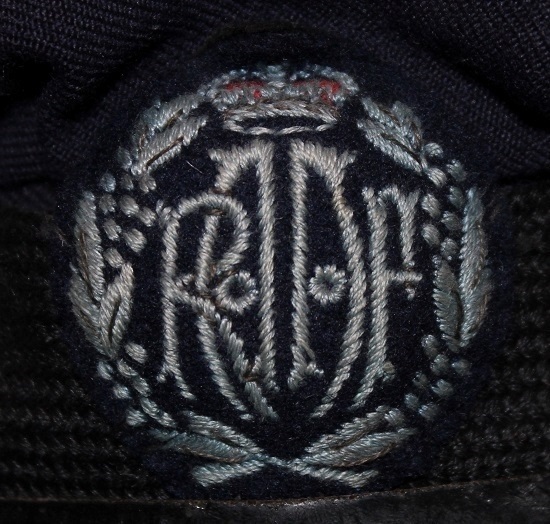 An unnamed officer’s service dress cap with a pressed metal economy cap badge. 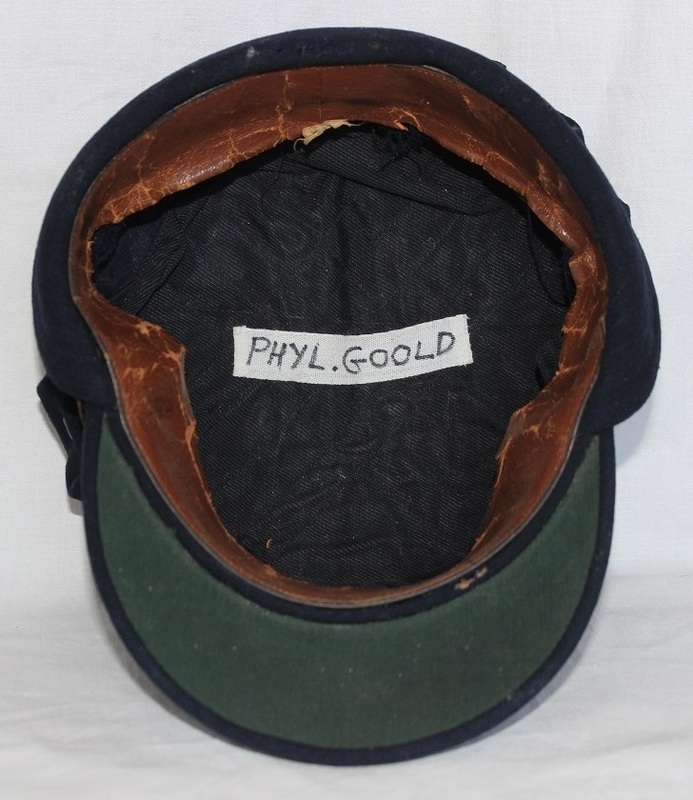 The cap is lined with a black quilted material sewn in a diamond pattern, the sweatband is missing, so no maker is known. The underside of the peak is green and the chinstrap is held in place by 2 plastic RAAF buttons. H084. Economy pressed metal gilt officers badge. H084. Photo of black lining.